I think the camaraderie and care for another is probably our greatest asset. Located near the southernmost point of the Appalachian Region, Noxubee County is quiet and sparsely populated, with 100 churches and no stoplights. Of the 565 farms in the county, one in five is 500 acres or larger. There is a strong emphasis on farming that carries over to individual homeowners. Many families grow vegetable gardens, and there are a variety of roadside farm stands where local farmers sell fruits and vegetables from the back of their pickup trucks. Noxubee County has few chain restaurants. Residents turn instead to local places such as the Wagon Wheel—a classic Southern “meat-and-three” (a daily selection of meat and choices of side dishes) restaurant that’s also the cafeteria for Trail Boss Trailers, a local business. But despite an emphasis on growing and consuming local food, it is not readily available to all. The county has at least six centers that provide summer and after-school meals to children who qualify for free school lunches. In some schools, that includes most of the students. The vast majority of the county is rural—farms, commercial forests, or undeveloped land. Yet, only 13 percent of the jobs here are farm jobs. Timbering, logging, catfish farming, and trucking are the main economic activities. The big employers are the hospital and the school system, as well as local businesses such as the Shuqualak Lumber Company, one of the South’s largest privately owned independent producers of southern yellow pine lumber. The company produces over 100 million board feet of lumber annually. Still, many workers must commute 60 to 80 miles (round trip) to jobs in another county. 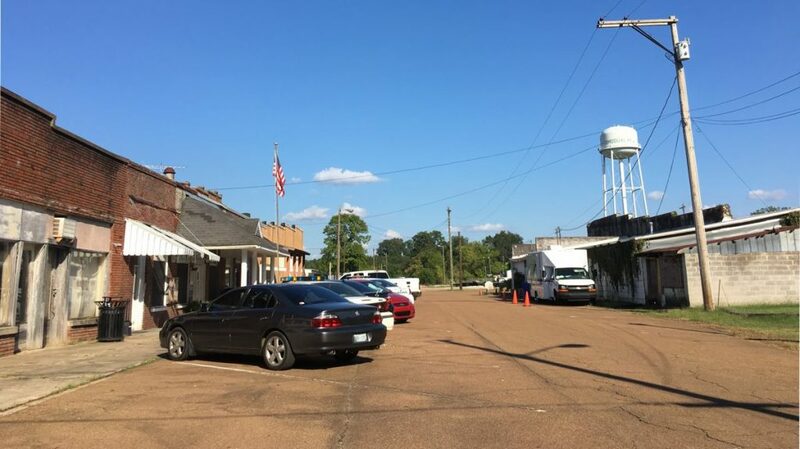 Noxubee County is a place of dichotomies where basic utilities may not reach outside city limits, yet residents have access to a network of clinics and around-the-clock emergency care. Despite severe funding challenges, Noxubee has three health clinics and a robust hospital system with a wound care clinic and an infusion clinic. At the same time, many county roads are still unpaved, and some homes lack running water and, in the poorest districts, sewage treatment of any kind. Yet, community leaders and residents are engaged in making Noxubee County a good place to live. These better-than-expected results are likely influenced by local conditions and initiatives in the county that aim to improve overall well-being. For example, field research indicates that local leaders are coming together to address some of the key drivers of health, such as having affordable housing and places to play and exercise. Additionally, hospitals, schools and the faith community play a critical role in health education and promotion. Noxubee County’s classification as a Bright Spot means that, on average, the county performed better than expected on a number of health outcome measures, given its characteristics and resources—that is, the socioeconomics, demographics, behaviors, health care facilities, and other factors that influence health outcomes. It does not mean that all residents here enjoy excellent health. In fact, the county still lags behind the rest of the nation on many health indicators. Like other counties with limited resources, Bright Spot counties face challenges to attaining good health outcomes. Noxubee County’s performance, however, indicates that certain county conditions or programs may be helping generate better-than-expected outcomes—and that other resource-challenged Appalachian counties may benefit from adopting similar initiatives. Noxubee County represents a nonmetropolitan county in Southern Appalachia. It is one of four Bright Spot counties in Appalachian Mississippi. 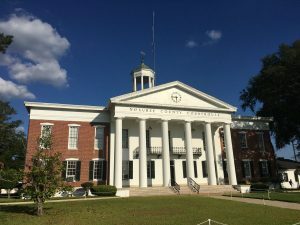 Noxubee has three sizable communities—Macon, Brooksville and Shuqualak—and each has a distinct personality. Macon is the county seat and the location of the hospital. Brooksville has a strong Mennonite presence, and Shuqualak is a center of lumber production. Eleven unincorporated communities also dot the rural landscape. Of Noxubee’s 11,240 residents, 71.4 percent are black, and 27.2 percent are white. Nearly 44 percent of adults have at least some college education, compared with 63.3 percent nationally. The median 2014 household income was $28,730, half the national median of $56,135. Unemployment in 2014 was 12.4 percent, compared with 6.5 percent regionally and 6.2 percent nationally. Just over 30 percent of residents live in poverty, compared with 15.6 percent nationally. As in the other Bright Spot communities explored in this report, people in Noxubee County are making the most of available resources and harnessing their collective power to create better-than-expected health outcomes. Community engagement and collaboration: Informal groups—including local leaders, schools, and faith groups—collaborate to address nutrition, physical activity, and housing issues. Integration of health services and systems: The medical complex, mental health clinic, and general hospital—including its branch clinics—work together to provide vulnerable residents the opportunity to access a continuum of preventive and curative care. Making health a shared value: Relationships among and between individuals and organizations develop and strengthen community values and actions related to good health. Local coalitions and religious groups are notable for influencing community culture. Intergenerational discussions about good health are common. 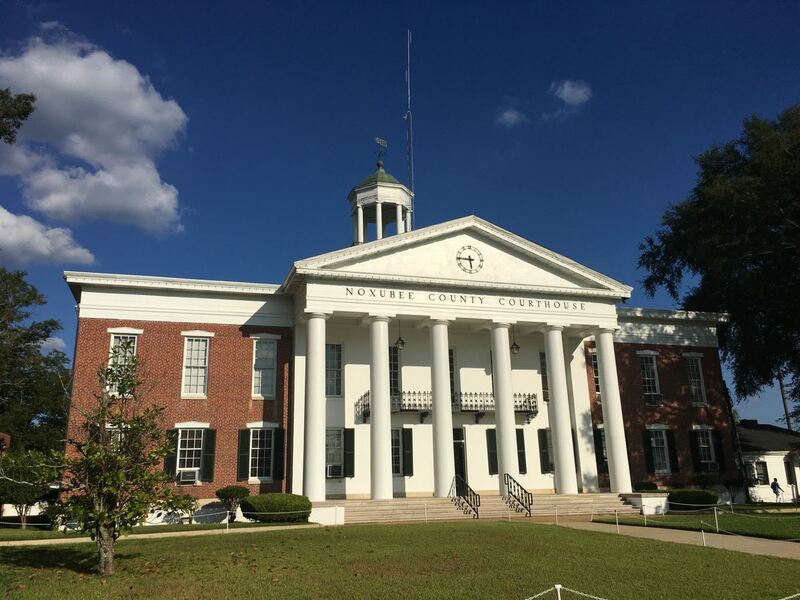 Resourcefulness: Leaders, churches, and volunteers in this county work hard to continually improve the quality of life in Noxubee with a view towards making Noxubee County a good place to call home. Like other Bright Spot counties, Noxubee County has programs and activities in place that fall into four overarching categories: leadership, resource sharing, local providers committed to public health, and an active faith community. In Noxubee County, leaders come from all walks of life, from elected officials to faith leaders, and they are both paid and volunteer. These important community figures are influencers who care deeply about their community. Their propensity for resourcefulness enables a community with severely limited resources to do a lot with a little. Strong community bonds and generosity fill gaps in social services. Local leaders focus on the core determinants of health. For example, the Noxubee County supervisor and the county’s three town mayors are collaborating to attract jobs. They are vigilant in pursuit of grants. The mayors want to see people buy homes, but the lack of resources to build infrastructure and provide municipal services limits the supply of good housing. All three towns enforce smoke-free ordinances. 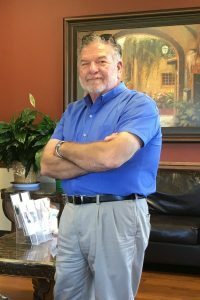 County Supervisor Bo Oliver values educating people about healthy behaviors and exercise. 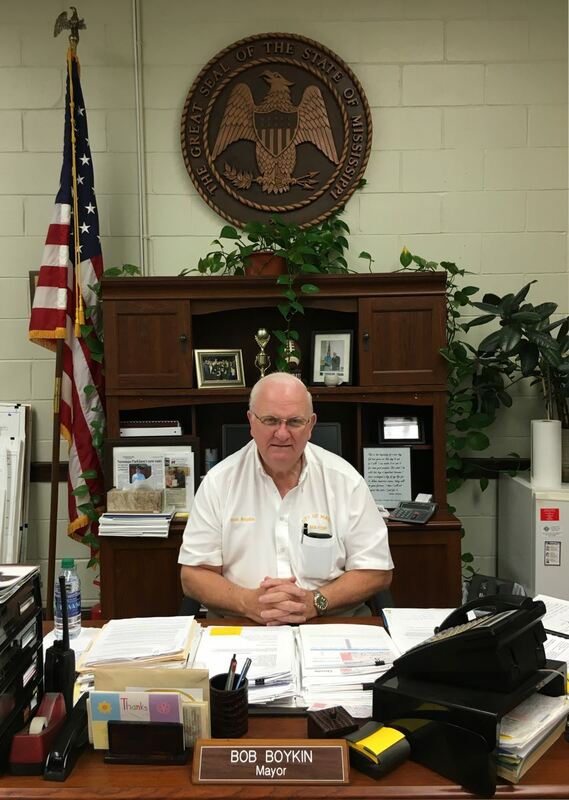 Macon Mayor Bob Boykin responded to a community request for a sports complex by developing one that the high school shares. Boykin is also actively engaged in efforts to increase participation in the county-run farmers’ market. Shuqualak Mayor Velma Jenkins is committed to increasing access to affordable housing and housing with complete plumbing facilities. 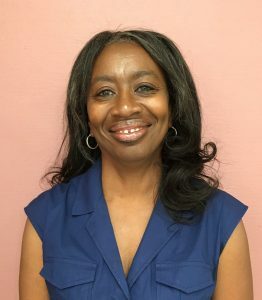 Her efforts have resulted in the construction of approximately nine brick homes secured through the U.S. Department of Housing and Urban Development’s HOME Investment Partnership Program. Noxubee County also benefits from other leadership. The county’s extension office is relatively new, but one of its first initiatives is working to improve obesity rates. Mississippi Homemaker Volunteers (MHV) is an all-women’s program of the Noxubee County (Mississippi State University) Extension Service with a mission “to strengthen families through education and community involvement.” MVH clubs have 10–20 members who participate in leadership training before volunteering in their local communities. They learn about nutrition, diet, exercise, health care, food safety, and other health issues, and share this knowledge with their local communities. They also sew pillowcases for children with cancer and quilts for the Children’s Hospital of Mississippi. Similarly, the 4H Club puts on programs to raise well-rounded individuals. An Alzheimer’s group supports caretakers. A statewide health department diabetes collaborative benefits from the insights of a leader who has lived in the community all her life. The diabetes coalition, led by Katherine Mickens and other key players, works with the extension office to engage the community in discussions on health, reaching out through social media, community projects, and health fairs. Noxubee County’s black fraternities and sororities also have strong commitments to community improvement. For example, Black Ice is a group of men who provide books, supplies, and healthy snacks at school. Members also visit classes to discuss the importance of not smoking and of exercising regularly. Noxubee County has a core group of people who are deeply committed to the community. They use and combine available resources to share funding, launch local health initiatives, and disseminate information about health widely. Mayors, schools, small businesses, churches, and food programs tackle the problem of basic nutrition together. Mayors pursue and maintain community walking paths, clean water, and affordable housing. Schools collaborate with churches to distribute information about health and health programs. The hospital also collaborates with churches and schools to sponsor monthly health fairs. The fairs, which provide free health screenings for residents, are reportedly popular and well attended. But, as noted in other case studies, the fairs do something more critical than providing preventive screenings and health information: They convey the message that health is important. When multiple organizational actors cooperate to put on a health fair, they nurture the idea that health is something that everyone should value. Noxubee County middle schools and high schools took advantage of a grant program to develop a curriculum that focuses on healthy living. Woven into the regular school day activities, the curriculum conveyed messages about healthy behaviors and covered topics from eating and physical activity to sexually transmitted diseases and the impact of substance use on physical performance. Focus group feedback suggested that, while the grant lasted, the program was effective. Unfortunately, after five years, local budget cuts meant Noxubee County schools could not sustain the program. Resource sharing is particularly evident among the county’s churches and its female leaders. Their resourcefulness enables a community with severely limited resources to do a lot with a little. Strong community bonds and generosity often fill vast gaps in social services. Information is another community resource that is shared broadly, including across generations. Children share with older generations the information about good health habits they learn in school, and elders teach children with both words and examples about living healthfully so as to prevent chronic disease. The local health department provides a range of services, including preventive care for low-income residents, communicable disease control, and diabetes education. Additionally, the Mississippi Department of Health sponsors multiple community initiatives to promote and improve health. With a staff of 170 full-time and part-time employees, the Noxubee Medical Complex has a strong community presence, providing services across five facilities: Noxubee General (a critical access hospital); a nursing home located adjacent to the hospital; a primary care clinic also adjacent to the hospital; and two other clinics in the county. Because the hospital also owns the adjacent health clinic, emergency room (ER) staff can redirect non-critical ER patients there, reducing costs for both the patients and the hospital. Patients pay according to a sliding fee scale. And for those who can’t pay, it is less costly to provide care through the clinic than the ER. On days that aren’t busy, hospital administrator Danny McKay sends hospital staff to a public place such as the grocery store to offer free blood pressure checks for the community. “It helps them, and it helps us, too,” he said. The hospital’s next focus is on chronic care management. According to McKay, health behaviors are largely reactive—conversations and actions are usually in response to an illness or ailment. Interviews also showed that, in Noxubee, family values and strong intergenerational ties play a major role in determining what happens around health decisions. Some rely on the head of the household to make decisions, while others turn to female family members, and others said they hold a family council to make decisions. For the most part, preventive care comes in the form of health screenings, which are well attended, and often provided free of charge. The Noxubee Medical Complex describes itself as a “comprehensive health care system” that strives to provide diversified services, including primary care, some specialty services (radiology, speech therapy, occupational therapy), and skilled nursing for short-term rehabilitation. Physician rotations through Noxubee General Hospital provide opportunities for patients to consult specialists in cardiology and podiatry. The county has three primary care medical clinics associated with the hospital, one in Brooksville and two in Macon. The clinics associated with the hospital provide urgent care, even on holidays. When inpatient care is slow, the hospital diverts inpatient staff to the clinics for preventive care. What blew my mind is that [the clinics] are actually open on holidays. That would give a person access to health care seven days a week, 24 hours a day. Again, I’m not a health care expert. I didn’t think we needed a new clinic…little did I know that health clinic has been the salvation and the savior for our hospital. The state’s decision not to expand Medicaid limits what the hospital can do. It strains to stay financially strong while serving many working poor who need but cannot afford services. During field research, key interviewees spoke highly of the hospital and the clinics, hoping to see them grow. Reaching beyond inpatient, outpatient, and emergency care, Noxubee General Hospital has an infusion center and a wound center. The hospital does not offer obstetrical care because it cannot meet the requirements to cover 24/7 calls. It supports an Alzheimer’s group and a nutrition clinic. The Noxubee Medical Complex self-funds employee health insurance and charges higher premiums to smokers. When the hospital encouraged a walk-a-thon, the whole community in Macon was out walking. Still, the hospital finds preventive care challenging. Its diabetes prevention class struggles; while 50 to 60 people may sign up, only about five graduate. You want to keep people healthy…but then you spend so much time taking care of them that it is hard to reach out into the community and do prevention. I think now we are taking a lot of steps to try to keep people healthy—calling the patients and reminding them of appointments and making sure they get their health screenings and making sure they went and picked up their medicines at the pharmacy. Staying healthy is the main thing. Noxubee County’s better-than-expected Medicare depression rates may be, in part, attributable to Noxubee General’s therapeutic daycare programs for senior adults, the county’s senior centers, and the high proportion of seniors who are active in local civic organizations. It may also reflect what appears to be a high degree of intergenerational extended families in Noxubee. Further, Noxubee’s mental health program, Region 7 Community Counseling Services, has been around for more than 25 years and provides counseling for residents of all ages, from young children to seniors. Many interviewees had high praise for its counseling service work with the schools. Headquarters for the services, the Region 7 Community Mental Health Center, are state funded and located outside Noxubee County in West Point. During field work for this report, similarly strong ties were observed between nonprofit hospitals and local communities in other Bright Spot counties, including Madison, noxubee, Grant, Potter, and Hale. In each case, the hospital was strongly identified with the community. From the hospital side, this meant prioritizing local health needs over the economic interests of distant shareholders. From the patient side, it meant patients have feelings of trust and familiarity, which can reduce barriers to seeking care. This sense of identification with a major care provider, and the trust it engenders, are elements of a culture of health that warrant deeper exploration in future research. Although the qualitative field work conducted for this report makes causal inferences impossible, Noxubee’s better-than-expected poisoning and injury mortality rates may be associated with the 24/7/365 availability of emergency medical services provided by Noxubee General Hospital. First-response help is also available at Noxubee’s Brooksville clinic, at the Greater Meridian Health Clinic in nearby Lauderdale County, and, until recently, at the Shuqualak-Noxubee Health Center, a Federally Qualified Health Center that benefits from annual federal operating grants and offers a sliding fee scale for medications. Well, it’s a lot of faith-based, a lot of church-based, organizations. Because everybody knows everybody…and so it is sort of like the family ties. Even though it’s not family, it’s still like one huge family. Churches are among the county’s most important organizations. They serve not only as places of worship, but also as civic centers; sources of financial, social, and emotional support; political mobilizers; and disseminators of information. Most of Noxubee County’s 100 churches are small, but they pitch in when a situation requires pooled resources. Churches attract significant regular attendance, and they band together, organize, and take action through an interfaith organization in which pastors collaborate to work on community issues. Because they are hubs of social engagement and connectedness, they are also a means of communication for community initiatives. I think that most people look to their church for information and guidance. Some churches have newsletters; some churches have clerks. But most of it is word of mouth from announcing clerks—a person in the congregation who is responsible for getting all of those announcements together and to the church. Noxubee County has at least half a dozen locations, at churches and community centers in the three large towns and in rural communities, where low-income children can find a nutritious meal. The churches provide after-school food programs, and there are in-home food services for families with more than six children. Churches also provide support for seniors. Noxubee County is also very volunteer-minded, a culture that is shared and exemplified by the area’s Mennonites. Mississippi has the third-largest Mennonite population in the nation, and there are about 600 Mennonite households in the greater Macon, Brooksville, and nearby Geiger (Alabama) area. Mennonites were attracted to the rich farmland in the 1950s. They are community minded, bring a strong work ethic, and engage in economic development, including the catfish farm, tomato house, and farmers’ market. Mennonites now represent thousands in the population. As a matter of religious teaching, Mennonites generally abstain from smoking and drinking. They cultivate an agriculture-based lifestyle that emphasizes physical work and consumption of a natural diet. The church also embraces the belief that caring for the health of others, especially the most vulnerable, is a shared responsibility. The Mennonites have a distinct culture of health of their own. Given their considerable presence in Noxubee County, they may be affecting health outcome measures at the population level. Noxubee County’s actions indicate that county leaders and residents place a high value on health, as reflected in the wide range of health education programs available and the appreciation for health education and health care services shown by county residents. Elected officials and a strong network of faith leaders, in particular, seek to share information about and encourage good health practices. Strong leadership has helped Noxubee focus on the core determinants of health. For example, public officials are collaborating to attract jobs and promote homeownership, despite a lack of resources. Noxubee County has a core group of people who work with the range of available resources to improve health countywide. Participation in community life stems from strong individual relationships and social connections that people form with one another; these connections lead people to participate in volunteering, collaborating, and coalition building. This persistent struggle toward a better life is a defining trait in Noxubee County. It harnesses its collective strengths, from the resilience and spirit of its residents to the dedication and engagement of its leaders, to ensure that limited resources are stretched as far as they can go, that creative solutions are found when resources run out, and that a focus on health and well-being remains a priority for all. Noxubee County Economic and Community Development Alliance. 2017. Noxubee County History. February 14. Accessed 2017. See Table 18 in the data appendix at the end of this case study for a full list of actual health outcomes for Noxubee County compared with predicted outcomes. For details on the outcome measures, see the data files accompanying the report Identifying Bright Spots in Appalachian Health: Statistical Analysis. Table 16 in the Noxubee County data appendix at the end of this case study provides a quantitative profile of county characteristics. For a full explanation of the methodology, see Appendix B: Research Approach. For a list of key informants interviewed for this county, see Table 17 in the data appendix at the end of this case study.